Here are some of the best displays at the International Auto Show taking place in Frankfurt this week. FRANKFURT, Germany -- What's a trade show without photos. 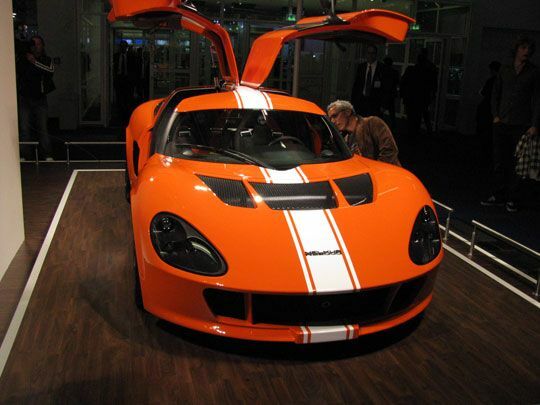 Here are some of the best displays at the International Auto Show taking place in Frankfurt this week. We've already posted stories on the electrics and hybrids coming from Mercedes, Audi, BMW, Renault and Volkswagen. Here are the others. 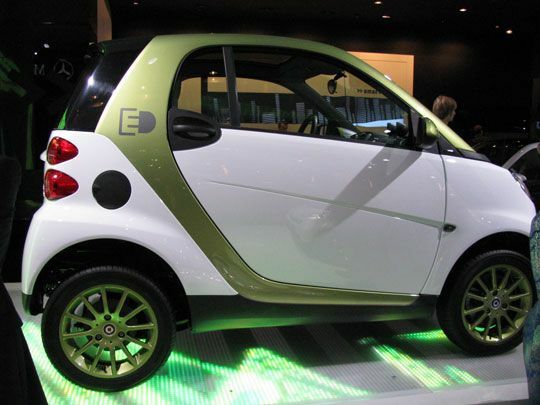 The all-electric version of the Smart Car going into low-volume production soon. 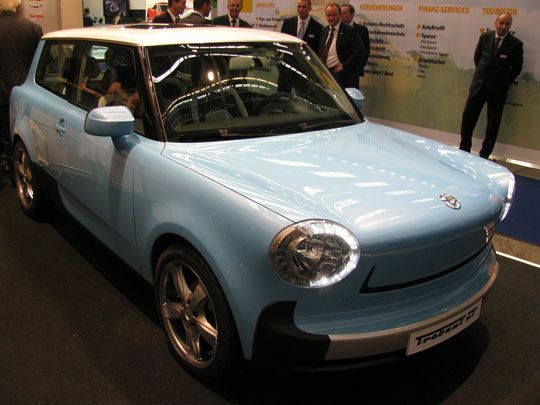 An all-electric version of the Trabant, one of the worst cars ever made. It came out of East Germany but later became a cult hit. The company is looking for investors. 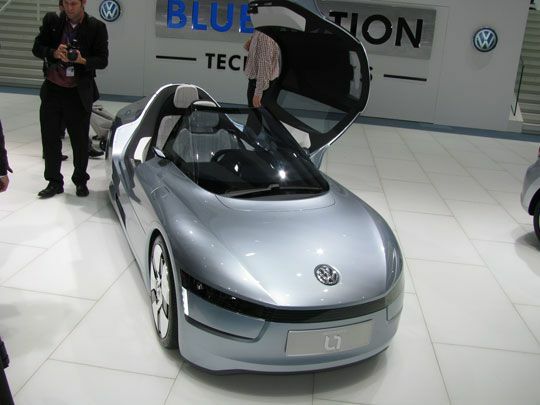 The L1, a concept car from Volkswagen. It seats two people toboggan style. It was created to test the ultimate in mileage. It gets 170 miles a gallon, but takes 14 seconds to get to 60 miles an hour. 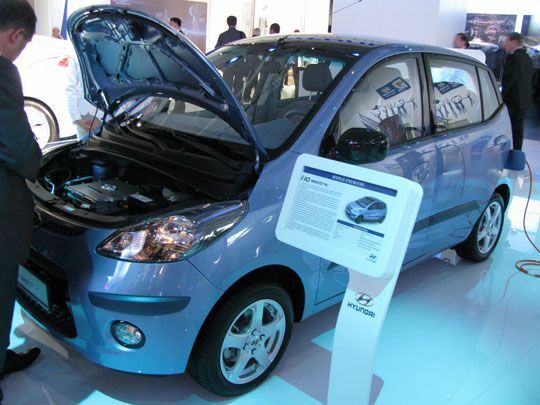 An all-electric version of the Hyundai i10. 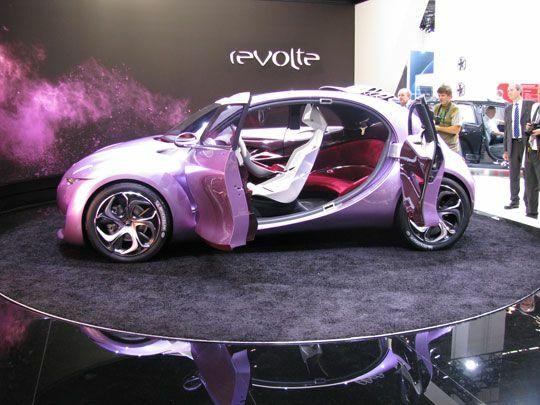 Although the show caters to a lot of luxury brands, many economy car makers showed off hybrids and all-electrics. 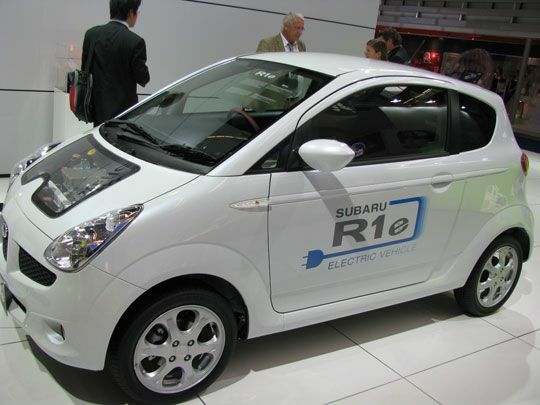 The Subaru R1-e. It's one of the first all-electrics from a major manufacturer. Weirdly, it was situated way in the back of the Subaru booth, like they didn't want you to see it. The Evolte. An electric car that may never see the light of day. It's the Brabus Ultimate High Voltage. Brabus specializes in high-powered engines in small cars. Although most Americans have never heard of the company, it has worked with Daimler and others. 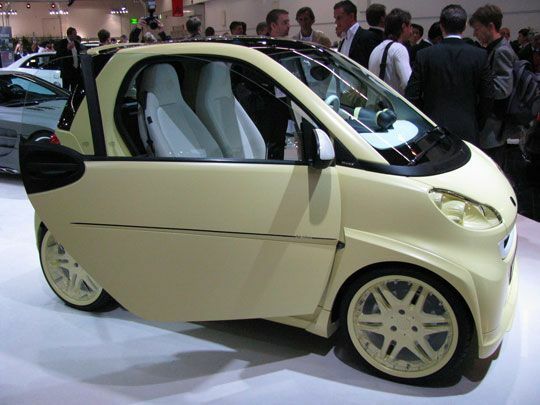 This prototype fits the electric motor and a battery pack from Tesla with a modified body of a Smart Car. 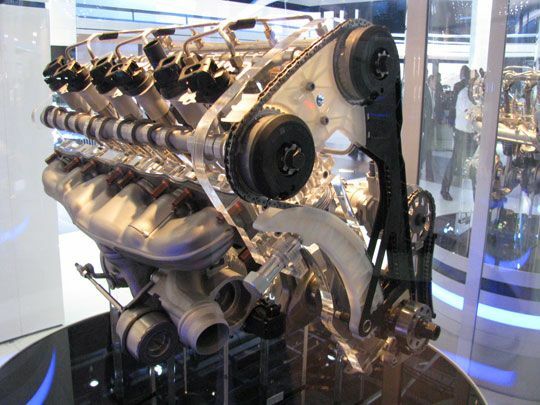 A BMW Engine. It undulates up and down in its cylinder to house music. This is a far more common occurrence in my working life than you'd ever guess. 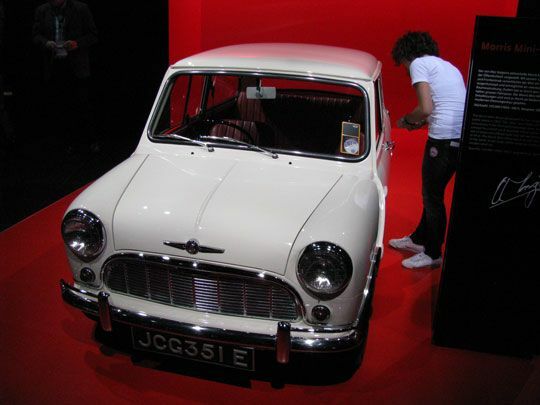 One of the original Minis. From 1959. An old BMW. 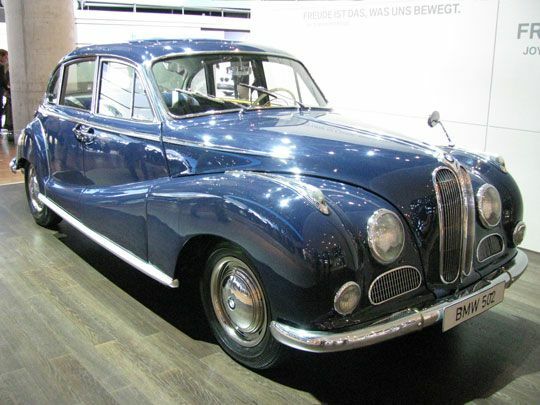 You could imagine Konrad Adenauer driving one of these. A Melkus. They also have a lot of cars you've never heard of. A lot of them look like Lotuses. 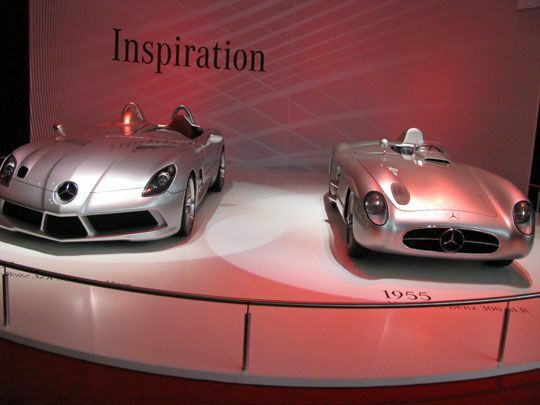 A 1955 Mercedes 300 SLR with a 2009 counterpart. 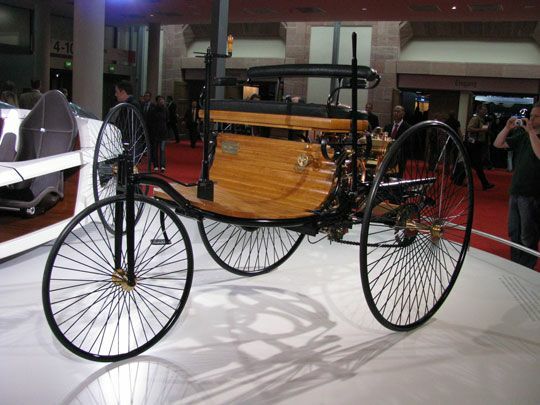 A replica of the car Karl Benz put together on January 29, 1886. It kicked off the automotive era. More history. 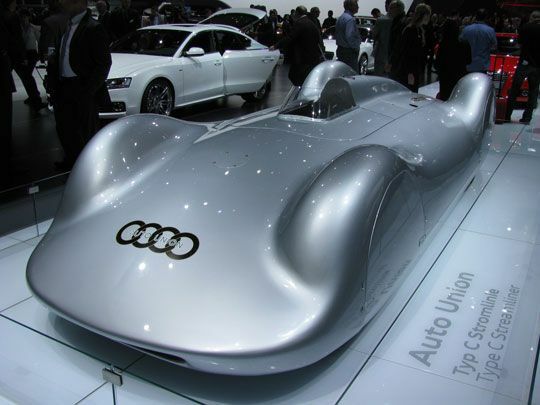 A replica of the 1936 Stromlinea from Audi. It set a lot of records in its day.